Working from Home has become more common over the last few years. Today, many employers are allowing their employees to work from home on a part time or even full time basis. Now, not every employer will allow this. This leads many entrepreneurs to come up with their own work from home ideas and start their own home based business. If you are thinking about starting your own home based business, you might be trying to come up with the right working from home ideas for your new business venture. There are several popular ideas out there that others are already using to start generating their own income. 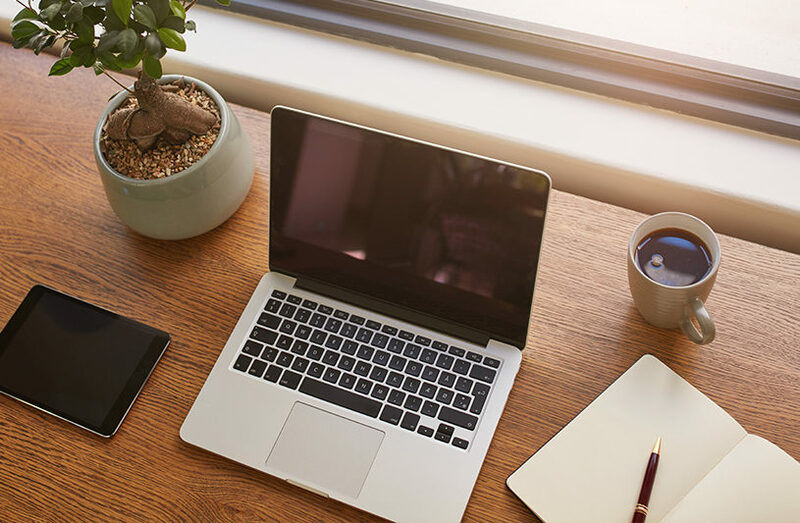 If working from home is something that has been on your mind, read through this entire blog post to get some ideas you can try out and pursue. In this blog post, we are going to discuss several popular work from home ideas that you could begin using today. A blogging business is a very common work from home type business. You may have noticed that blogs are popping up online for almost everything. If there is an interest in a particular topic, you can be sure that people are writing blogs about it. A blog allows you to write about things that interest you and your readers. You can start your own blog with minimal investment. A blog generates money through several ways including advertising, eBooks, courses, and affiliate marketing. Think of a blog as your own online platform, where you can share your thoughts and opinions and connect with your audience. You have a lot of flexibility in deciding what you would like to write about. If you can find your audience and recommend the right solutions, you can generate a great amount of income online through blogging and becoming a blogger. 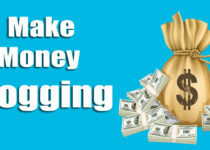 We have written a blog post on our site that describes how to make money blogging here. Ecommerce involves selling products and services over the internet. Amazon is an example of one of the biggest Ecommerce businesses in the world. They sell almost everything you can imagine. 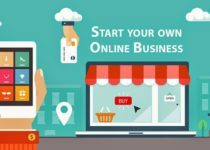 If selling items online interests you, you could work from home with your own Ecommerce business. Now, you don’t need to create the next Amazon to make a living or be successful online. You could narrow down more specifically what types of products you would like to sell and specialize in. Maybe, you would like to focus on consumer electronics. Or maybe you would prefer clothes and fashion. There are quite a bit of options you have here, depending on what interests you. Whatever you decide, if there is a need and market for it, you can sell it online. You can either create your own products and start selling them online. Or, you could also purchase products at wholesale products and resell them for a profit. One very popular method is to do dropshipping. With dropshipping, you purchase products and have your products shipped directly to your customers. The products are never shipped to you, which saves on storage costs. Your customers receive the products quickly and you make a profit from each sale. To get started with this, you would need to know where to source your products from. The best option is to use a wholesale directory to identify the right suppliers to work with. We would recommend checking out our Salehoo Review which discusses Salehoo, a popular wholesale directory that can get you going with all of this. You can offer your professional services to small and medium sized businesses. This home business would be considered B2B where you are selling services to other businesses. Think about the types of services that businesses can use and if there is something of value that you can provide and offer. If you have accounting skills, you might want to offer your accounting and bookkeeping services. You can also expand on this and offer tax services for businesses and help them with tax preparation. If you are tech savvy, you can provide them with web design services and help businesses set up a website online. All businesses could benefit from having an online presence. If you know how to code, you can provide software development services to businesses or app development services. Businesses need software and can benefit from these types of services. Other services businesses can use include payroll, loans and funding, credit card and payment processing, and legal services. If you have the skills and experience in any kind of professional service that a business can benefit from, start offering your services. Affiliate Marketing involves promoting another company’s or person’s products online. This is a very popular type of online and home based business. Affiliate Marketing programs exist for almost everything out there. There are affiliate programs for both physical and digital products. For example, Amazon offers their own affiliate program, with tons of products to choose from. If you sign up, you have the ability to promote all different types of products that Amazon has to offer. This type of business goes together with a blogging business. The reason is that you are going to need a place to promote your affiliate products online. A blog serves as your platform and is a place where you can recommend different affiliate products online. So essentially if you decide to start your own blog, you can make money with affiliate marketing too by combining them. We have written a review for an affiliate marketing training course called Affilorama on this blog. Take a look at the Affilorama Review here. Which Working From Home Idea Will You Choose? As you can see, we outlined 4 ideas for work from home businesses that you can start today. All of these ideas are home based, and do not require a large initial investment to get started. See which idea interests you the most and give it a go.